Going into the future provides inspiration for many a slot game theme online today. So it’s quite refreshing to find a slot that heads in the opposite direction. 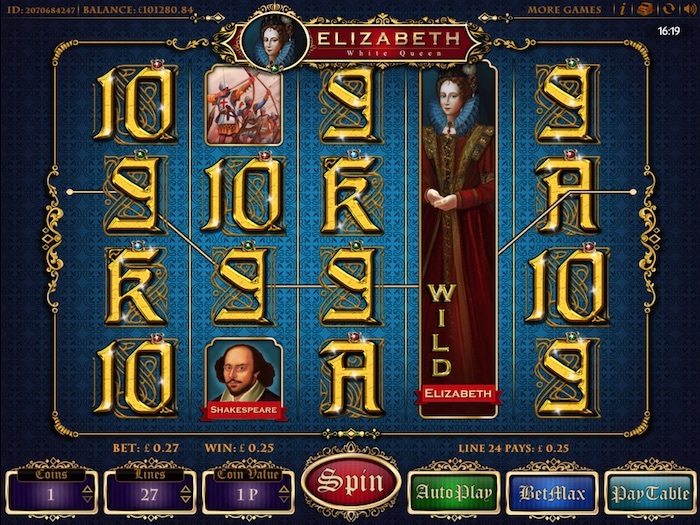 Here, Cozy Games has created the Elizabeth White Queen slot. Based on the story of Elizabeth Woodville, Queen consort of England from 1464. Don’t worry if your history is a bit rusty though – you won’t need it to get stuck into this slot game. The Elizabeth White Queen slot is a 5 x 4 slot game from Cozy Games that packs in 40 paylines. While it does feature some formulaic symbols in the shape of the K, Q and J letters, they seem quite at home with a Royal-themed slot! They also take on a design that suits the game itself, which is refreshing to see. From just 1p a spin, the royal treatment comes cheap if cash players bet just one line! We’ll introduce you to some other classic symbols as well, but the main thing to wonder about is the presence of any particular bonus features or special perks here. Has Cozy Games come up with a slot that will be a Royal success? The graphics are nothing short of stunning in the Elizabeth White Queen slot. While some online slots are beautifully detailed, this one is surely up there among the best. The background has a repeating design in blue, and it almost looks as though a light is shining through it in the middle. It’s nice to play too – very smooth – but the reels do spin in a different way. We found there was a slight delay in them spinning once you hit ‘spin’, and then each reel from left to right disappears for a second before starting to roll. They then all disappear for a second before reappearing altogether – so this takes a while to get used to. The paytable consists of three pages. The latter one has the layout of all the paylines, plus the values attached to the regular K, Q and J symbols. Elsewhere, Francis Drake and Shakespeare can appear (labelled as such, so you know who they are) along with a cannon and some English soldiers with bows and arrows. The two main symbols to be aware of are Elizabeth herself and the Royal Standard flag (if we are not much mistaken… which we hope we aren’t!). Elizabeth is a wild, while the flag has another purpose, which we’ll come to in a moment. It’s sad to say this Cozy Games online slot has limited features to look for. So let’s focus on the good news, which concerns Elizabeth’s role as the wild, to begin with. Not only is she a wild character, but she can also turn into an expanding wild. This happens if she appears on the second or fourth reels. This can help you achieve more winning lines. The other special feature included with the Elizabeth White Queen online slot concerns the flag we mentioned above. This can help you towards claiming some free spins. You will need three or more of these flags to trigger this round, and you then have a choice to make. You can opt for 20 free games if you like, but with this option, you play through the games as standard. 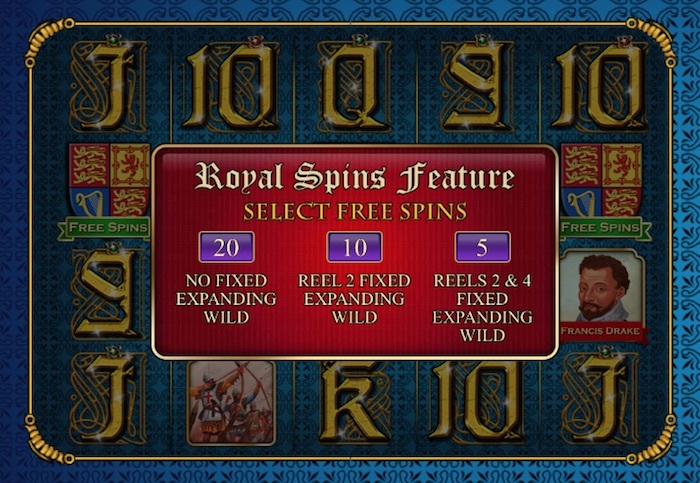 However, if you select 10 free games, you get reel two as a fixed expanding wild for the duration of those spins. The third option is to take just five free spins, but each one will have reels two and four as fixed expanding wilds. Choose wisely! The Cozy Games Elizabeth White Queen slot offers you the chance to start playing from 1p per line, leading to a minimum 40p bet if you choose to cover all the lines. You also have the option to play one, two or three coins on each line. This means the maximum bet per spin is £60. The maximum coin value is 50p, so the option of playing more than one coin per line does give you more variety. Cozy Games states the RTP for the Elizabeth White Queen slot is 95.36%. We think that’s more than respectable all in all. This game is good overall. While the only bonus element is the free spins round, they have at least added in a choice for you to make. Some people prefer the maximum amount of spins, whereas others will be happier to get fewer spins in return for one or two expanded wild reels. The design is quite stunning, and it’s good to see a slot that gives us a slice of history. It might even make you curious enough to know more about the real Elizabeth White Queen… But not before you’ve played the slot named after her.